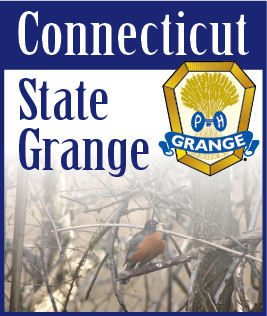 State Senator Tony Guglielmo, (R-Stafford), has been elected to chair the newly formed "rural" caucus of the Connecticut General Assembly. Sen. Guglielmo, who represents 13 towns in the northeastern part of the state, said that the committee will review legislation and how it affects the state's smaller communities. The bi-partisan caucus is open to any member of the legislature and currently consists of approximately 20-25 members whose districts include rural areas. "One of the things I have always said is that smaller towns have just as big concerns about what goes on in Hartford as the bigger municipalities do," said Sen. Guglielmo. "This caucus brings together legislators who have similar concerns and will allow us to review bills that could have both a positive and negative affect on rural and suburban areas." Sen. Guglielmo said that among the matters that will be discussed are issues relating, but not limited to, open space, agriculture and zoning. He said that just about every issue that comes up for consideration can have some affect on small towns. "Rural towns do not have the means that the bigger urban areas have. So I think it is very important that members of the legislature who have such common interests come together and talk about how certain legislation can affect their areas. I am very pleased to elected chair of this caucus and I do believe it will end up being very beneficial to rural communities throughout the state," said Sen. Guglielmo.